After having had a good look at who we are (post: who are we? ), I think it’s time to start looking over the hedge to what others are doing (or being). 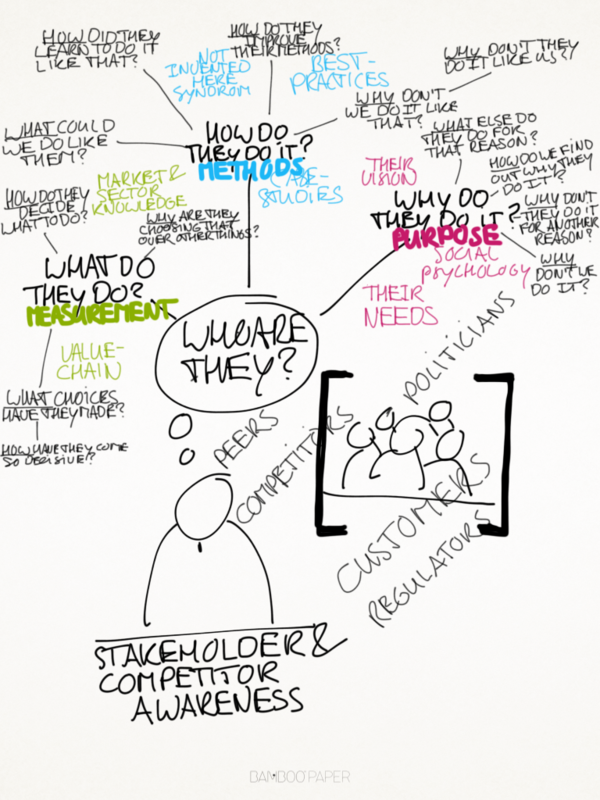 From an organisational point of view, you could call “them” stakeholders (when they have an interest in your company), or competitors (if you’re competing for the same purpose…? ), and from a personal perspective it could be strangers, anybody, or nobody. While trying to answer a question like “how do they do it?”, I immediately start thinking of best-practices and case-studies. But what I find more interesting, is to try to come up with follow-up why, what or how-questions like: “How do they improve their methods?”, “Why do they do it like that?”, or “What could we do like them?”. It seems like this way there is an infinite amount of questions I can come up with that can help me find out more about “the other” (whoever that may be). Funny thing is, that maybe… just maybe… , by becoming more aware of the other, “they” will become “we”.